The newest addition to the New England Patriots' roster is quickly finding his place, earning high praise from quarterback Tom Brady and company. Despite Josh Gordon's limited practice time while he nurses a hamstring injury, Brady is already liking what he sees in the All-Pro receiver. 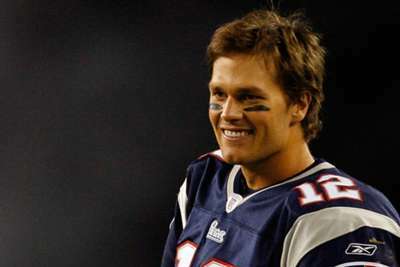 "[He's] really eager to get in there and learn everything," Brady said, via ESPN. In Gordon's first week, he has participated in three practices and is currently listed as questionable for Sunday's game in Detroit. If he does play, it will be for a limited number of snaps as Gordon has a lot of catching up to do. "Look, he's been here for a few days," Brady added. "So, we're working at it every day, and every day you try to make improvements." As far as playing Sunday, Brady said: "It's up to the coaches to decide those things. You could limit the number of plays and try to do that, and I think we've done that plenty of times. That's any time you get new players, that's what you try to do." Coach Bill Belichick has also spoken highly of Gordon. "I think Josh is a smart kid," he said. "He's worked hard. He's picked up a lot." But Belichick has been quiet on Gordon's struggles with substance abuse and the circumstances that landed him in New England. "I wouldn't talk about another player's personal or injury situations, so I'm not going to do that," he said. Gordon's trade from the Browns to the Patriots sparked a number of questions, including why the Pats gave up so little (a 2019 fifth-round pick) for the electric playmaker, plus a seventh-round pick in 2019. The steal of a deal is something New England are excited to use to their advantage. "We all know he's a good player. Excited to have him here and he seems excited to get to work," safety Devin McCourty said. "We'll see how it all shakes out." Linebacker Dont'a Hightower added: "He's a tremendous athlete, a great receiver. Glad to have him."